HUSSON (ARG) (Chestnut 2003-Stud 2007). 5 wins to 1600m, San Isidro G.P. Raul y Raul E Chevalier, Gr.1. Sire of 384 rnrs, 243 wnrs, 15 SW, inc. Lucky Hussler (MVRC William Reid S., Gr.1), Frolic, Moral Victory, Russon, Sabat Husson, Boganaire - Obrigado Mais (Mac. ), Lady Hussy, Nothingilikemore, First Crush, Husson Eagle, Raido, The Huntress, Affable, Hussousa, Peron, SP Looks Like the Cat, Miss Husson, Sister Souss, Ferment, Hi Son, etc. CELLARMAN (g. by Mossman). 8 wins-1 at 2-from 1400m to 1600m, A$468,175, to 2017-18, ATC Doncaster Prelude H., Gr.3, Qld Tatt's RC Wintergarden S., L, ATC Slipperstyle H., 100th Birthday Louisa Baxter H., Sydney Markets Foundation H., Boxing Day at Randwick H., TAB Rewards H., Tab.com.au H., 2d ATC Schweppes 2YO H., 3d ATC Tab.com.au H., Boxing Day at Randwick H., 4th ATC Stan Fox S., Gr.2, Ajax S., Gr.2. CELLARGIRL (f. by More Than Ready). 3 wins-2 at 2-to 1200m, A$233,700, to 2017-18, BRC Bill Carter S., L, Golden Finch Lawns 2YO H., Bundaberg Rum H., 2d BRC QScan Radiology Clinics H., 3d ATC Flight S., Gr.1, Tea Rose S., Gr.2. FITOU (Street Cry). 5 wins to 1400m, A$247,335, to 2016-17, Wyong RC Mona Lisa S., L, ATC Segenhoe Cup, Cellarbrations H., 2d Newcastle JC Tibbie S., Gr.3, 3d ATC Tab.com.au H.
Perfect Drop (Quest for Fame). 3 wins from 1400m to 1800m, A$288,350, AJC Lawler Financial Services H., STC Golden Slipper Day H., 2d AJC Australian Oaks, Gr.1, STC Queen of the Turf S., Gr.1, AJC Adrian Knox S., Gr.3, 3d STC Cronulla Cinema H. Producer. Robrick (Grand Lodge). 5 wins from 1400m to 3000m, A$149,337, AJC Lost World H., MVRC Members Equity Bank H., 2d VRC Bagot H., L, SAJC Pauls Milk H.
AGISTER (Mossman). 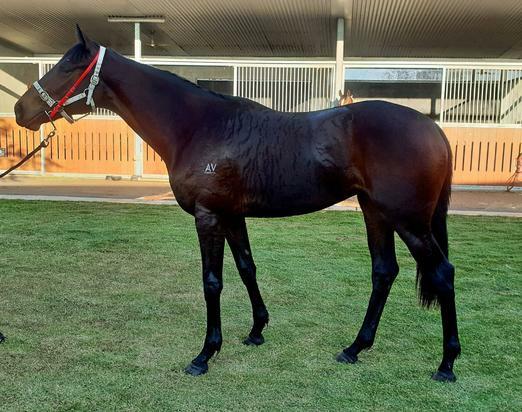 7 wins-2 at 2-to 1300m, A$428,935, ATC Eskimo Prince S., L, City Tatt's RC Tattersalls 2YO P., SAJC Alan Sheppard Constructions H., STC Theraces.com.au 2YO H.
READYOR (More Than Ready). 4 wins-2 at 2-at 1000m, 1200m, A$271,975, AJC Keith Mackay H., L, Flying Doe H., Hurstville Private Hospital H., Testa Rossa 2YO H. Producer. MR CHARLIE (Golan). 4 wins from 1600m to 2500m, New Zealand St Leger, L, VRC Spring is the Season H., WRC Paino & Robinson H., 2d ARC Dunstan Stayers Final, 4th Geelong Cup, Gr.3. MAJESTICALLY (Maroof). 10 wins-2 at 2-from 1100m to 2400m, A$677,593, AJC Summer Cup, Gr.3, STC Frank Underwood Cup, L, Lord Mayor's Cup, L, Stayers' Cup, L, 2d STC Todman Slipper Trial S., Gr.2, Clarence River JC Grafton Cup, Gr.3, STC NE Manion Cup, Gr.3. Rose Beat (Rhythm). 3 wins to 1400m, A$80,490, VATC Allan Wicks H., SAJC Jayco Caravans H., Christmas Twilight H., 3d VATC Lord S., L. Producer. Darmala (Danehill). 2 wins at 1200m, BTC Members' H., STC Lone Star H., 2d QTC Sir Douglas Wadley H., L, 4th AJC James HB Carr S., L. Producer. DEMERGER (Saithor). 8 wins-2 at 2-from 1400m to 3200m, A$997,250, SAJC Adelaide Cup, Gr.1, VRC Matriarch S., Gr.3, Queen's Cup, Gr.3, Dover P., Bounty Hawk H., Scomeld H., MRC April 2YO H., Highways Tabaret 2YO H., 2d Moonee Valley Oaks, Gr.2, SAJC Carlton Draught S., Gr.3, 3d MRC Angus Armanasco S., Gr.2, Ballarat Cup, L, VRC Let's Elope S., L, 4th AJC Australian Oaks, Gr.1. Producer. STARCHEEKA (Starcraft). 4 wins-1 at 2-from 1400m to 2000m, NZ$76,025, Manawatu Classic, Gr.3, WRC Pacific Jewellers 3YO H., 3d ARC Beach Beats BBQ Boxing Day H., Counties RC Karaka 2012 H., Waikato RC Print House H.
DEFIER (Dehere). 10 wins from 1000m to 2200m, A$2,976,450, BTC Doomben Cup, Gr.1, AJC Queen Elizabeth S., Gr.1, George Main S., Gr.1, Warwick S., Gr.2, STC Theo Marks H., Gr.2, Canterbury S., Gr.2, 2d MVRC WS Cox P., Gr.1-twice, 3d AJC Doncaster H., Gr.1, All Aged S., Gr.1, George Main S., Gr.1, MRC Yalumba S., Gr.1, STC George Ryder S., Gr.1, AJC Warwick S., Gr.2, QTC Sir Byrne Hart S., Gr.2. TRAVESTON GIRL (Flying Spur). 4 wins-2 at 2-from 1200m to 1650m, A$323,450, BRC Brisbane H., L, Qld Tatt's RC Recognition S., L, 2d MRC Thousand Guineas, Gr.1, 3d Gold Coast Guineas, Gr.3.